One of Canada’s TALLEST and MOST ICONIC Waterfront Condominium Communities. 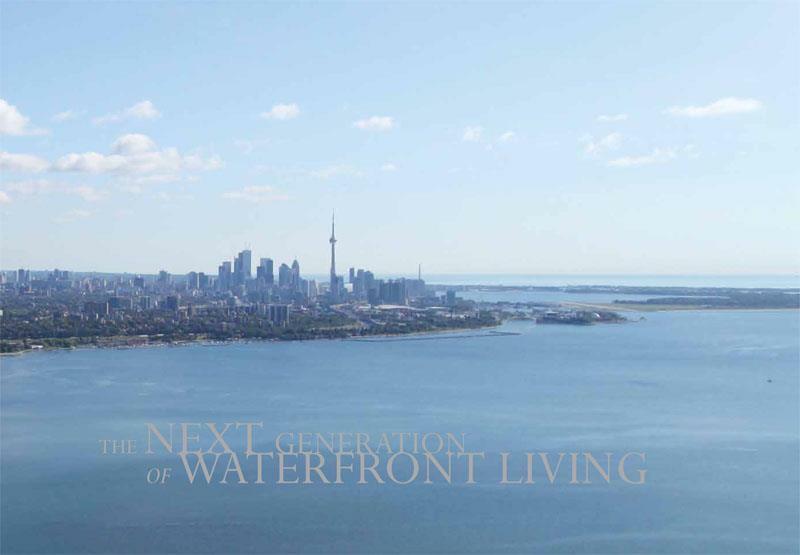 AWE Inspiring Design, Phenomenal Views and Unparalleled Destination of the next generation Waterfront Living in Toronto. Eau Du Soleil Condos will have an awe-inspiring design and grand presence on Toronto’s waterfront, with phenomenal unobstructed water views and spectacular amenities. It’s quite simply, the next generation of waterfront living, with incredible suites starting from the low $200’s. Eau Du Soleil Condos community is the last site located along the Etobicoke Humber Shores Development area. This area has been supporting high density growth for the Greater Toronto Area, attracting residents with skyline views, access to waterfront bike trails and parks, proximity to Lake Ontario, and minimal commute to downtown Toronto. Eau Du Soleil Condos contain two slender 50 (or 70) storey towers and three small 10 to 12 storey low rise buildings house 1000 residential units. Along Lake Shore Boulevard a 3 storey Amenity Building with a pool and fitness area will accommodate the recreation activities for residents and potentially members of the community. A large open park space, adjacent to the open green space which abuts the property line, brings the waterfront landscape into the site for the residents. Public pathways are provided through the site to connect to the open green space and the path system beyond. All of the building Lobbies and Entrances are located along the central spine of the site and are connected to walkways to the water, the Amenity Building and the streets beyond. 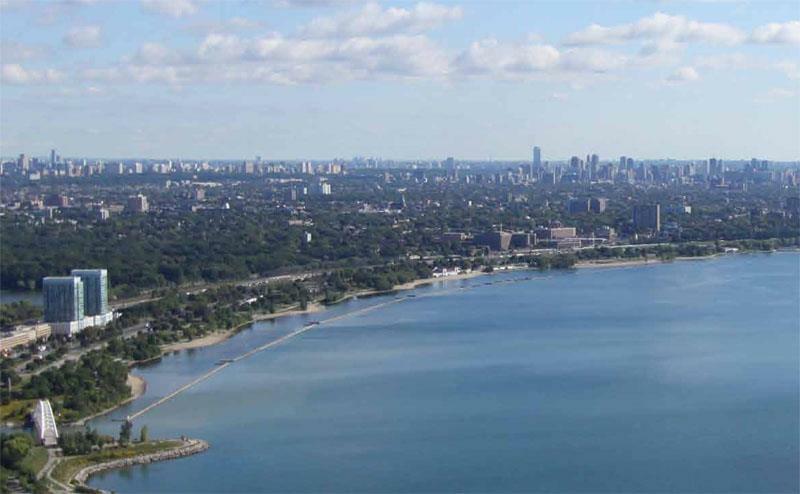 Toronto’s Humber Bay community has been an area that has been ripe for developments over the past few years. In years prior, Humber Bay was home to empty plots of lands and low rise underused commercial developments. It has now become one of the hottest spots for development in the city of Toronto, with iLoft and California Condos by Camrost Felcorp, Lago Condos by Monarch Group, Ocean Club by Graywood Developments and Beaverhall Homes. You can also add Onni’s Westlake communities and others to the list. Located at 2183 Lakeshore Road West, Eau Du Soleil will be built on one of the final empty plots of land at Humber Bay, the site of the former Beach Motel. Empire Communities is an award winning builder who brings a high reputation to everything that they build. They focus on producing a quality product while serving the needs of their customers. Some of their landmark developments include FLY Condos on Front St. Schoolhouse in the Annex and The Modern on Richmond. (Note: all kitchen appliances are stainless steel. Washer and dryer are in white.) All of the above specifications are from Vendor’s standard samples and as per plan. Variations from Vendor’s samples may occur in finishing materials, kitchen and vanity cabinets, floor and wall finishes due to normal production. The Vendor reserves the right to substitute materials and/or suppliers of equal or greater quality at any time at their sole discretion. Engineered and laminate flooring may react to normal fluctuating humidity levels producing gapping or cupping, both considered to be within acceptable industry standards. The buyer acknowledges that failure to maintain standard humidity levels may result in excessive gapping or cupping and that the Vendor will not be held liable. The ceiling height of any suite is approximate and is measured from the upper surface of the concrete floor slab to the undersurface of the concrete ceiling slab. Where ceiling bulkheads are installed, the ceiling heights will be less than the stated ceiling height for that floor. Where dropped ceilings are required, (in areas such as foyers, closets, kitchens, bedrooms, dining rooms, bathrooms, laundry rooms, and hallways), the ceiling height will also be less than the stated ceiling height for that floor. All ceilings are white stippled excluding bathrooms. Prices, specifications and terms are subject to change without notice. Refer to E. & O.E. April 2012. ‘Availability determined by suite design. GET ON OUR FIRST 10 LUCKY PLATINUM GEUST LIST NOW FOR REDUCED PRICES, AND PRIORITY ACCESS FLOOR PLANS. REGISTER NOW!! !